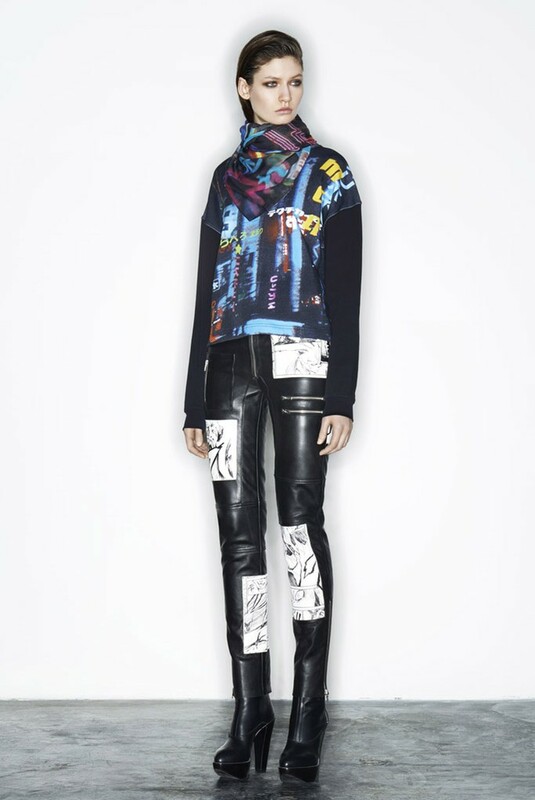 The robotlike ornamentations of the Givenchy by Riccardo Tisci Couture Spring/Summer 2011 Collection were a tribute to « Grendizer ». Another « Grendizer » inspiration : Felipe Oliveira Baptista Couture Autumn/Winter 2007-2008 (one of the outfits of this Mexican wrestling-influenced show was named « Goldorak / Grendizer »). The McQ Alexander McQueen Autumn/Winter 2014-2015 Collection features patterns which are based on a manga illustrated by Yoshiyasu Tamura.